Dealing with an audio cassette repair is similar to the “How to Fix a Video Tape” guide I posted earlier. 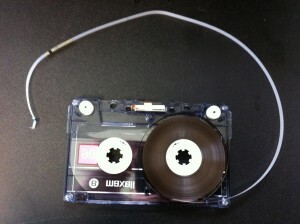 To make things easier, the tools I used were splicing tape, a small flathead screwdriver, and a new blank cassette tape. The first step is to inspect what type of damage your cassette has, the most common types of problems are either a break in the tape, the tape creased and flipped somewhere. 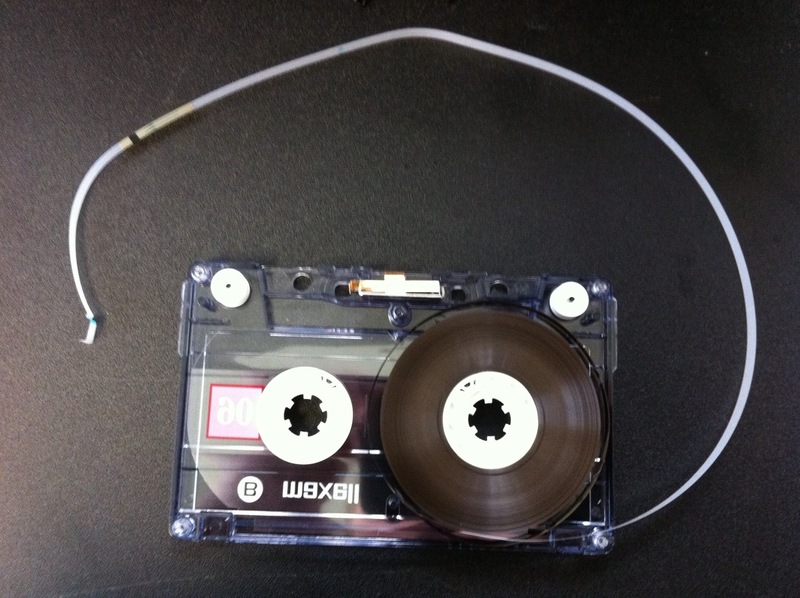 This guide will detail how to fix a cassette tape that has been pulled off one of the reels. 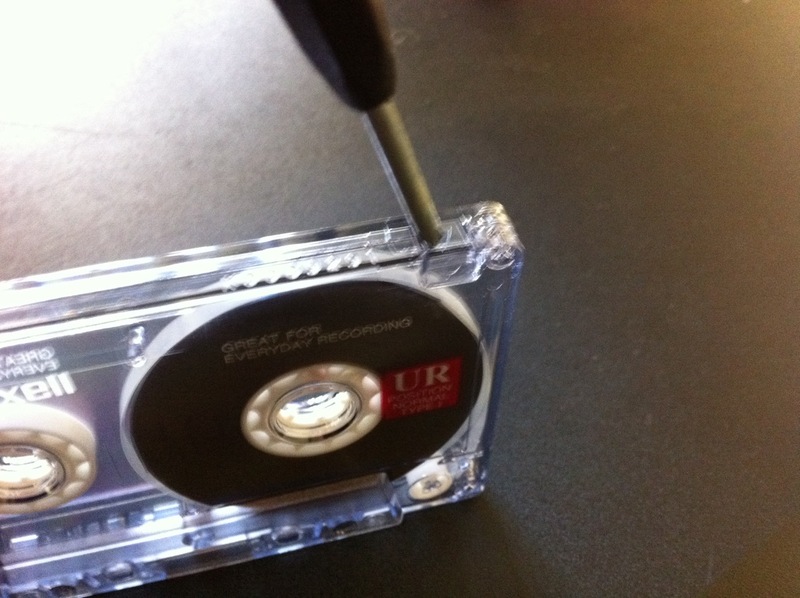 This is a pretty common example of a damaged audio cassette, so in most cases the steps are the same. Be careful not to lose the parts inside as you break the casing apart, as sometimes they can go flying onto the ground.Once the cassette shell has been opened up, you can now get to work. For many cassettes, especially older ones, the tape will have pulled itself off one of the reels. When the tape is pulled off the reel, it can be difficult to thread it back through the reel, and even if you do manage to do it, chances are that it will not last for long. The recommended fix for this problem is to purchase a blank cassette at your local electronics store that we can use for parts. *Make sure the new cassette you buy has screws and not glued together. We’re going to open up the new cassette just like we did with our damaged tape. Take the reel from the new cassette and cut the tape about 1-2 inches from the end of the leader tape. 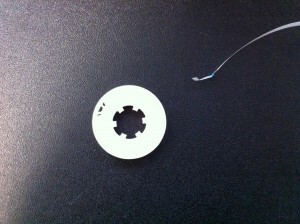 This will give you a brand new reel, and a nice piece of tape to splice the broken tape onto. 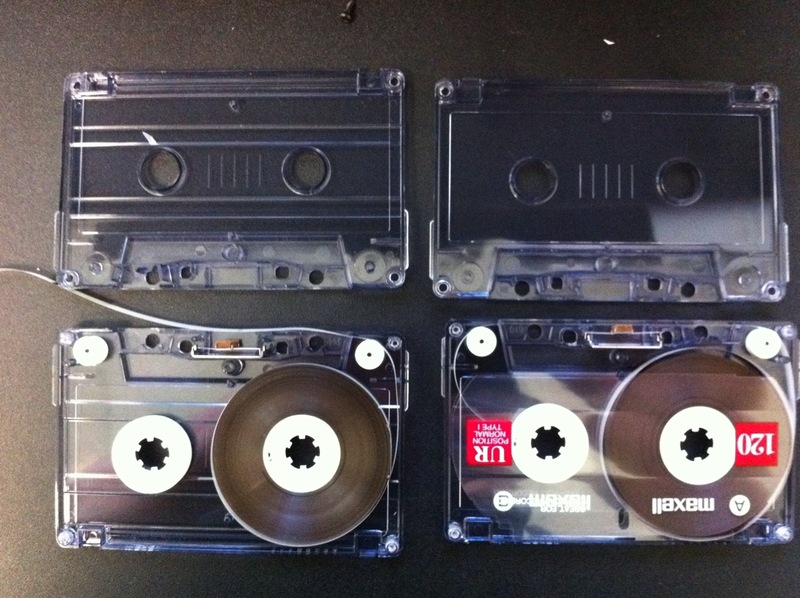 Remove the old reel from your cassette, and replace it with the reel you just cut from the new cassette. 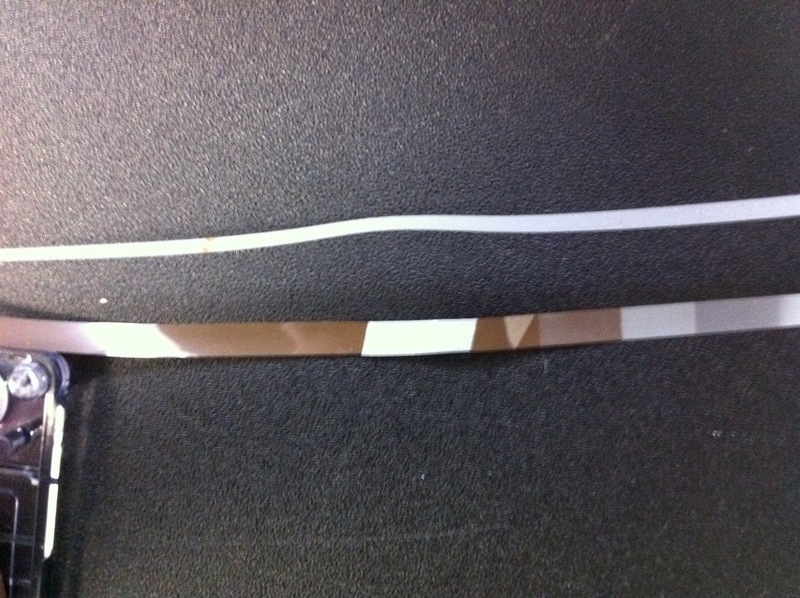 You now have enough room to easily splice the two ends together with a piece of splicing tape. You want the ends to meet as flush as possible, with no overlap of tape. This is possible without a splicing block, just keep in mind you’re going to be working with pretty thin tape, so it may take some patience and steady hands. After your tape is spliced together, we need to set it back in the casing the way we found it. You can look at the picture below to see the correct layout. 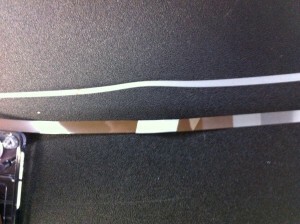 It’s easier to thread the tape through the notches with a small screwdriver or tweezers. Screw the casing back together again, and use a pencil or something similar to make sure the reels turn correctly and don’t get stuck. After these steps, your audio cassette should be ready for a cassette to cd transfer or just plain listening again! This entry was posted in Audio Transfer and tagged audio, audio fix, audio restoration, cassette repair, restore audio, tape repair. Bookmark the permalink. 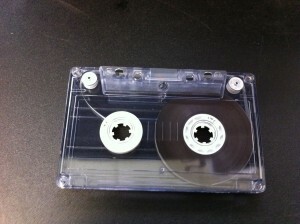 One question….Where do you purchase splicing tape, etc.? or you can check out http://www.urbanskifilm.com for film splicing supplies. Hello. I have an old Tape Cassette & Radio mini boombox player. My family kept it for years! The radio still works as of 2012, but the cassette part does not play tapes! Before We decide to sell it, can you please help us with some repair tips? I don’t remember the model number or name, I believe it is from the late 80s/early 90s? Thanks! Unfortunately I don’t have a whole lot of experience repairing the tape players, only the media themselves. I would suggest taking it down to a local appliance or electrician to see if they can help. Good luck! I am desperate to fix a very old cassette tape and am willing to be patient and learn. I have looked at some videos and written instructions with pictures. My question is: How do you secure the tape to the empty end of the reel so it won’t pop off again when it gets to the end of the tape?? Thank you. 1. 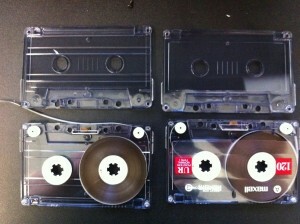 Buy a blank cassette tape and take it apart carefully and remove one of the reels. 2. 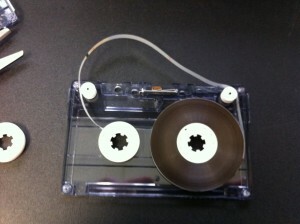 There should be come clear plastic leader tape on the reel before the magnetic tape begins. So what you need to do is to cut the tape right before the magnetic tape starts so you end up with just a reel with a strip of clear leader tape attached to it. 3. Remove the old reel from the tape you’re trying to fix. 4. 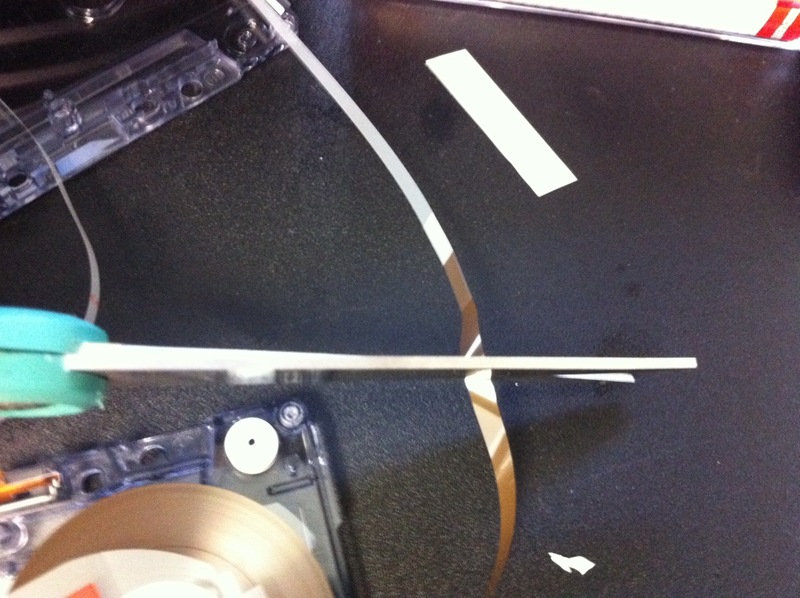 Using splicing tape, attach the old tape to the new clear leader tape of the new reel that you cut in step 2. 5. 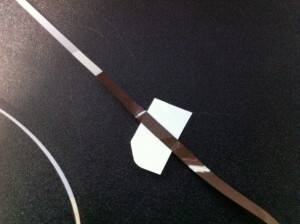 Cut away excess tape so it’s flush to the magnetic tape. 6. 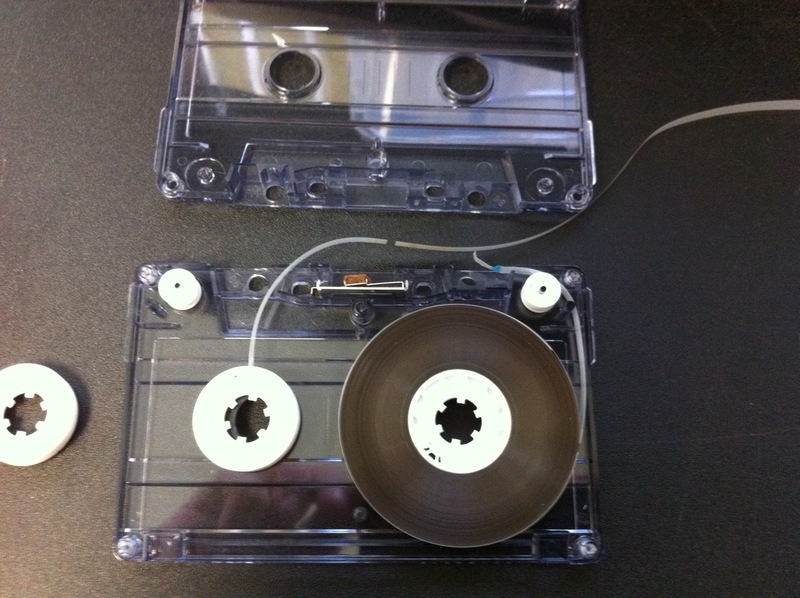 Re-install the reel into the old cassette. This is the same process we use in stores when audio/video tapes have snapped off of the reels. Hi, I have a cassette that plays most of the songs, but a few songs “skip”, or have sections that dont play. The tape seems to be intact, any ideas on a fix? Or is my poor tape just done? Thanks for any ideas you might have! In all likelihood, your cassette is probably damaged beyond repair. However, we’ve worked miracles before… so if you’d like we’d love to take a look at your cassette! Call us at 1-877-345-6238 for more information. Hi. I have cassettes with no pads(the piece of foam the tape slides over) is there any repair for this? Can i buy foam from anywhere or do I have to make my own? Hi David, I am not sure of any place that sells just the foam parts. If the tape will not play without the foam pads, I would suggest removing the two reels from your tape and replacing them into a brand new tape. This should solve all of the problems you’re having. The top middle part is the trickiest. I am not sure you can help me on this problem, but I stumbled across your websight so I thought I would give it a try. I have an automaton(an animated figurine. It has a tape inside that plays a whistle tune while it moves. I picked it up at an estate sale and was working on it to get it working. I got it all working but the sound was distorted so I opened the cassette and the hole thing blew apart! The reel popped out and the tape unrolled. 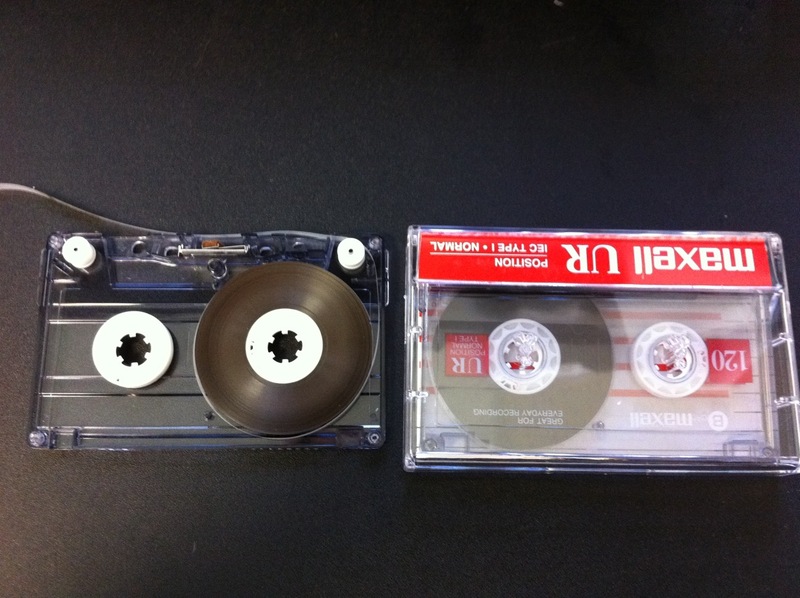 The problem is that the tape is wound on one reel an plays continuely. I can’t figure out how to wind it, especially without cutting and spliceing it. Can you help me?